NEW NEW NEW!!! 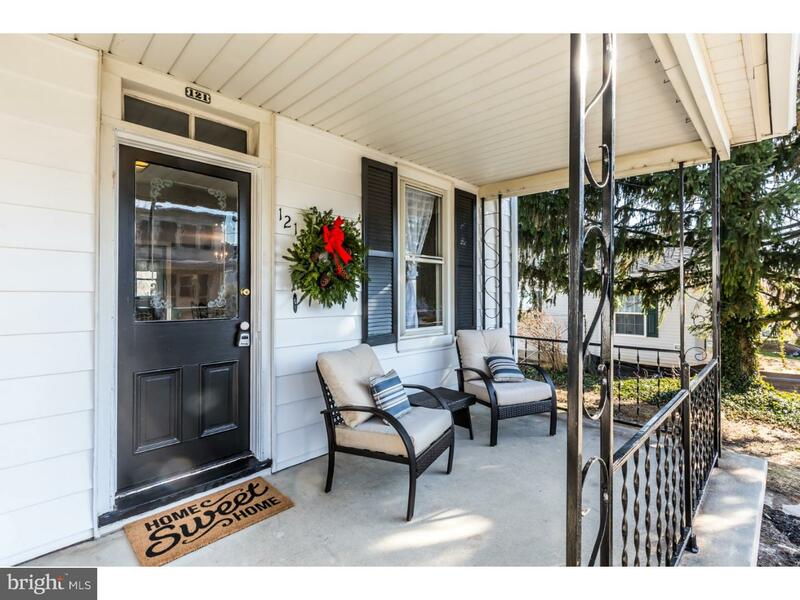 This CHARMING home has been completely renovated inside & out while keeping its original character alive. Feel like a chef preparing meals in your large eat-in kitchen featuring NEW GRANITE counter tops, NEW center island, NEW tile floor, NEW kitchen sink and all BRAND NEW stainless appliances! Restored to its natural beauty, original HARDWOOD FLOORING flows beautifully from the dining room into the living room creating a large open living and entertaining space. Enjoy relaxing on your front porch and rear deck which overlooks the fenced in backyard. Convenient OFF STREET PARKING, NEW roof, FRESH paint throughout, NEW floors, sinks & toilets in both bathrooms. This MOVE IN READY house is just waiting for you to make it your HOME!!! OPEN HOUSE SCHEDULED FOR SUNDAY, 12/2/18, 1-3pm!